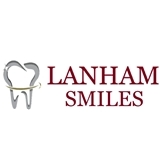 Lanham Smiles Dentistry (Lanham) - Book Appointment Online! Our mission is to provide the best dental care for the whole family in a compassionate and comfortable atmosphere. At Lanham Smiles, we believe everyone deserves a healthy, beautiful smile. We understand that good oral health promotes total body health and well being. We offer a full range of dental services and it is an honor to help our patients obtain that smile which will enhance their lives. We appreciate your interest in our practice. Working together we can assist your entire family in maintaining healthy, beautiful smiles for years to come. Kevin at the front desk is very helpful. From the x-rays to the actual cleaning everything was great! Everyone is so nice and they really make you feel comfortable. I would highly recommend.